Maybe residents county-wide, having seen the devastation at the Erkwood Drive/Shepherd Street roundabout with the cutting down of a large number of trees, are starting to realize the cultural landscape implications of clear-cutting for roundabouts and don’t want their neighborhoods to look as barren as Greenville Highway does now (see photo above). From the Hendersonville Lightning: “Leaders of the Laurel Wood Condo Association asked Hendersonville City Council members on Thursday to intervene with the NCDOT to reduce the number of trees that would be removed as part of the U.S. 64 improvement and roundabout project from Blythe Street through Laurel Park. We don’t need or deserve the devastation caused by the “improvements”. It’s pathetic the way the beautiful countryside is being destroyed in the name of so-called progress……SAD! Some of these awful projects will be built and will stand as monuments to the elected officials that did nothing to sustain our village. We don’t have village representatives that listen to the people. Rather, they listen to the TWANG OF OPM. For the uninitiated, that’s “Other Peoples Money”. Since the beginning of primitive tribal politics, it has serenaded and corrupted Poobahs of every stripe. Let us remember that EVERY MEMBER of the present Council voted for the No Highland Lake Rd debacle that is coming soon, with the exception of Vice Mayor, Mr. Nick Weedman. 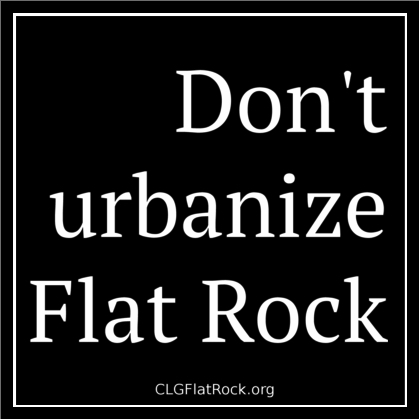 They did little or nothing to stop or influence the Roundabout, Kanuga Rd Widening fiasco or support the Flat Rock Citizens living next to the defeated Drug Treatment Facility. They favor cutting down trees to put in blacktop “greenways’. I prefer the trees.